We can only expect creative things from the top Hollywood actor, Ryan Gosling. Now, he has made his debut on the latest Blade Runner 2049, the sequel to the original 1982 movie. His mission is to search for the missing blade runner but soon discover more than what he was looking for! 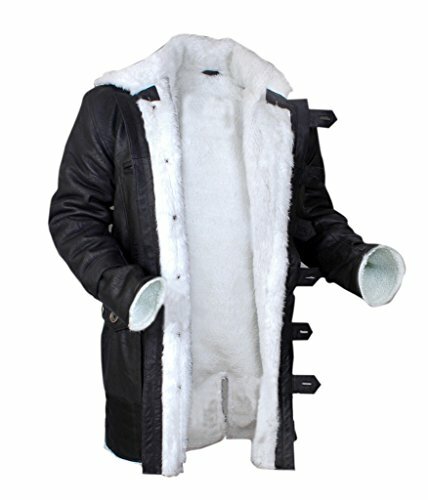 The Sci-fi sequel once again making big hits worldwide but let's talk about the new fancy Blade Runner Coat he wore while portraying as Officer K in the movie.This fur leather bomber jacket is everything you need to grab attention and cosplay as the character. 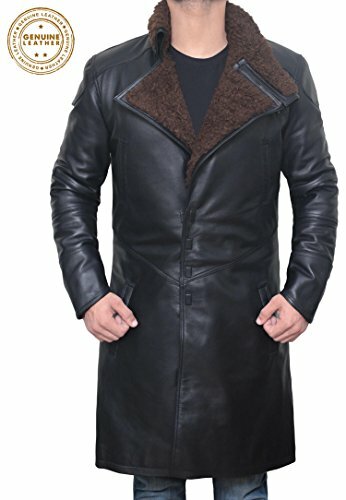 This mens leather coat will adjust your style and keep you warm. 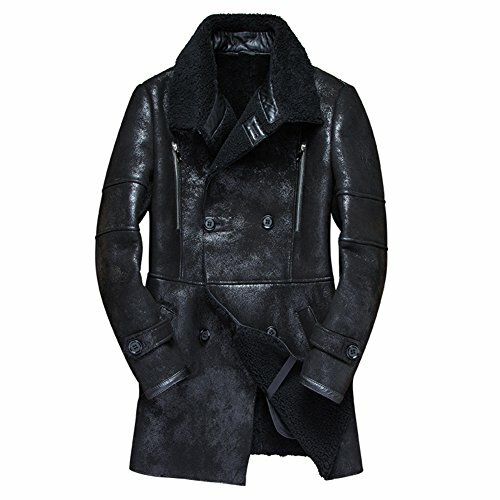 Keep warm with this soft faux shearling coat. 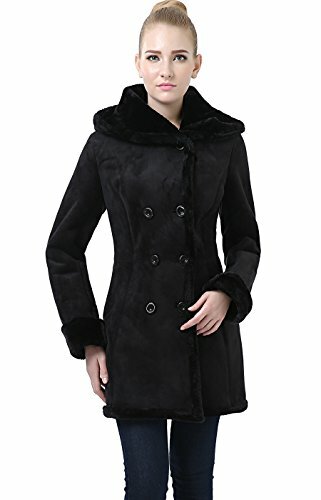 It features a faux fur trimmed hood, placket, cuffs, and hem. 100% Satisfaction Guarantee. Please leave feedback with five star if you are satisfied with your item. Any problems or questions, please contact us via amazon messaging system. We will do our best to solve any problems Returns only accepted for unworn goods returned in original packaging. Returns must be notified and returned within 14 days of receipt. We offer custom service. 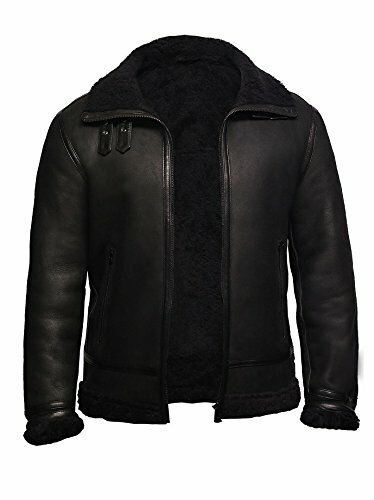 Please contact us ,Our goal is help you get the right size for you or your family Shipping UPS,DHL,Fedex,EMS,or other Express, We will choose the best way ship the Coat to you , And we'll ship the products out in 24-96 hours after receiving your order, normally your parcel will arrive within 7-9 business days. Custom: normally it will take 3-7 working days, for customize order, we can only offer 30% refunds of the total amount. 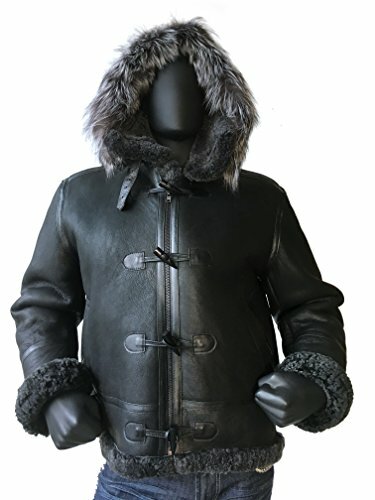 Quality Sheepskin is renowned for its breathability and moisture-wicking properties, which keep the body temperature regulated regardless of temperature fluctuations in the environment. 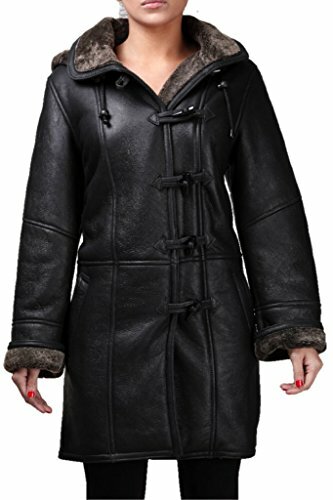 Sheepskin coats come in a variety of fashionable styles with figure-flattering lines, beautiful shapes and stylish elements, such as fur trim, draped collars, belted waists, etc. 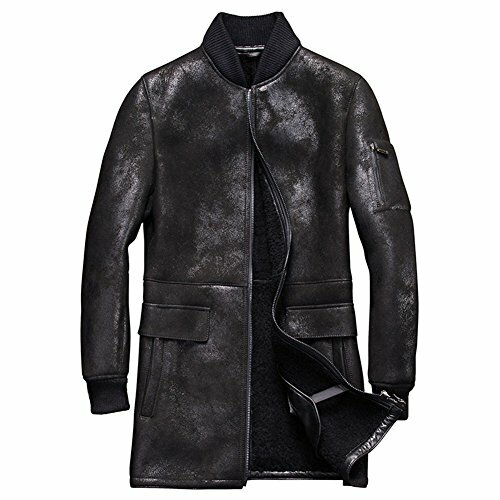 As for the durability when sheepskin coats are properly cared for, they can last for decades. Why choose us ? 1. We can provide you with customized fur coat .Choose us you will get the right size for you or for your family!